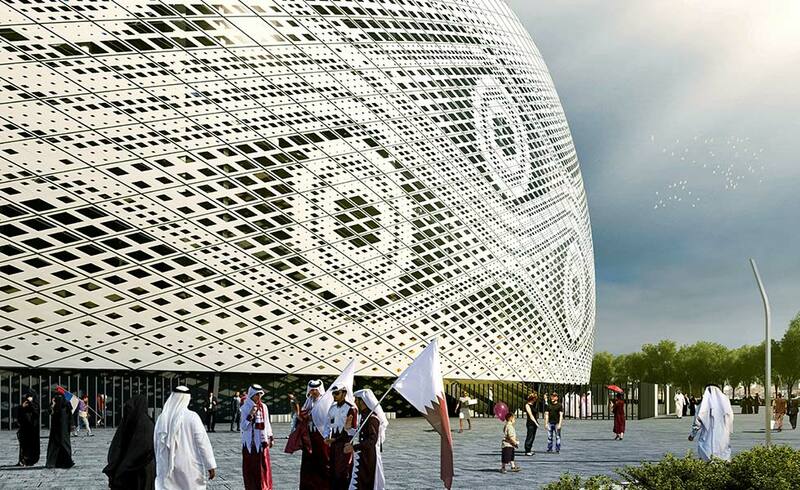 The design for Al Thumama Stadium was entrusted to Arab Engineering Bureau and its GCEO and Chief Architect Ibrahim Jaidah back in 2015. Concept is derived from a traditional head piece worn by men across the Middle East locally referred to as gahfiya. Gahfiya is worn by young boys before they would wear a full headgear and adult men wear it under their ghutras. 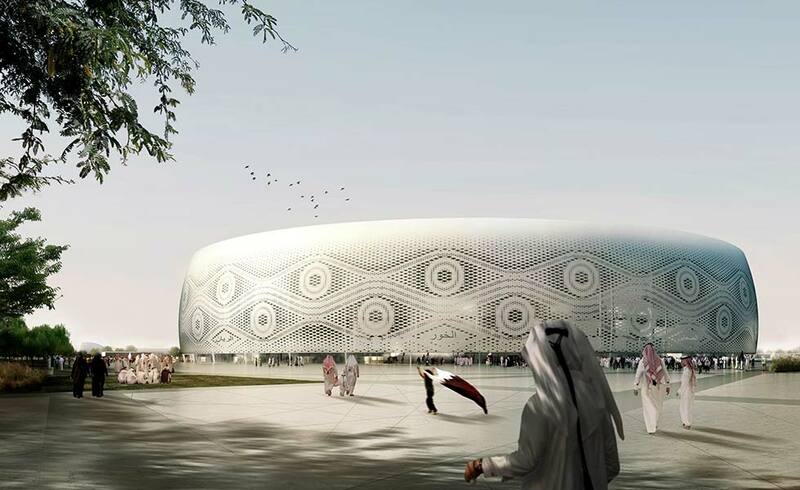 Located 6 kilometers south of Doha and 12 kilometers from Hamad International Airport, 6th precinct – Al Thumama Stadium is being constructed on the 515,400 sqm plot. 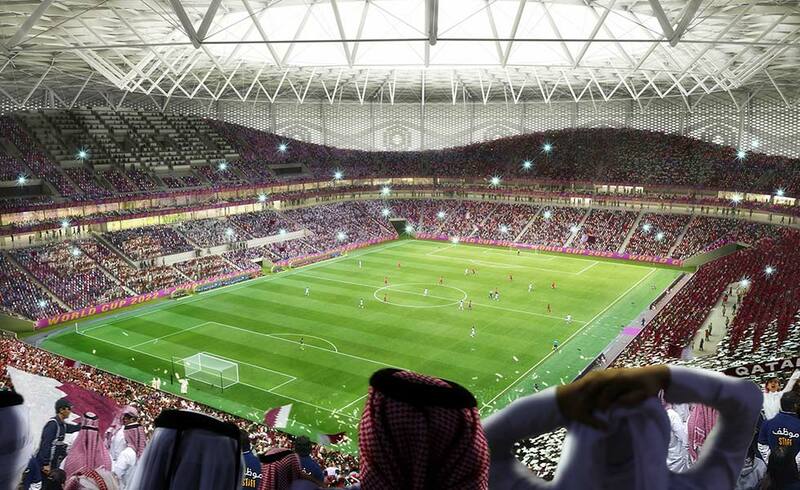 Stadium is planned to welcome 40,000 spectators during the tournament. 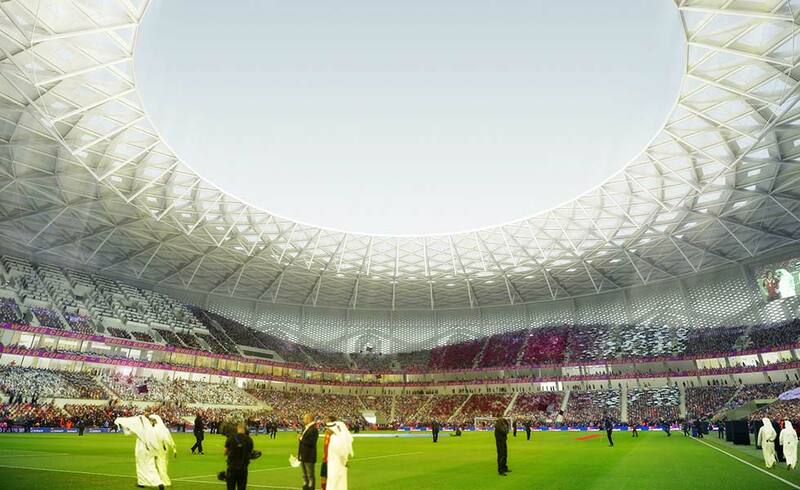 In its post-tournament legacy mode seating capacity will be reduced to 20,000 and additional space will be adapted for use by renowned sports health center Aspetar and boutique hotel. 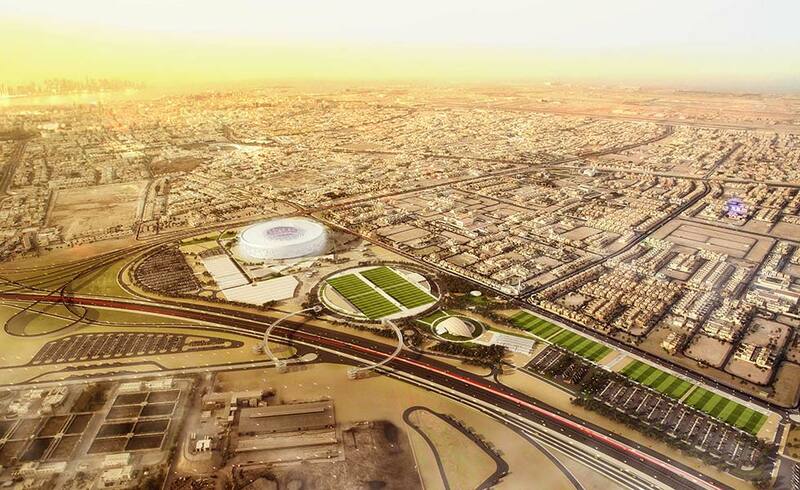 The construction of Al Thumama began in 2016 when enabling works were completed. 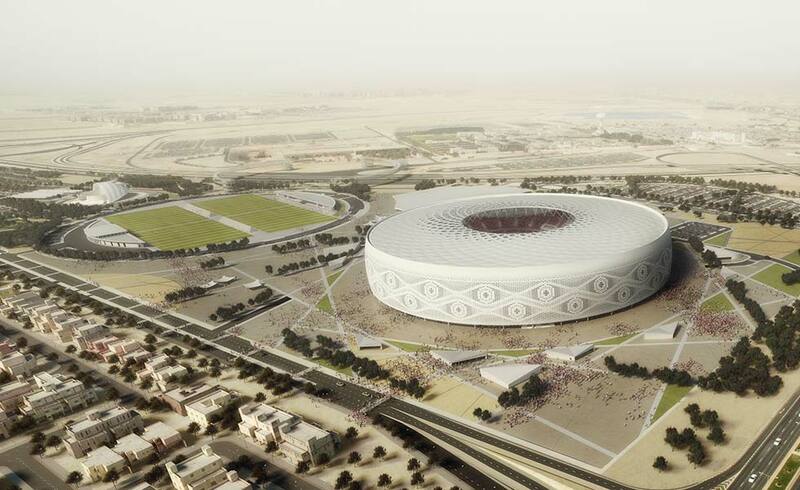 In early 2017 Supreme Committee for Delivery and Legacy awarded main construction package to Qatari-Turkish JV between Aljabeer Engineering Company and Tekafen Construction.